Indian Govt has issued a circular that the transaction of Guar gum in commodity market will come under commodity translation tax. There will liability of seller to pay Commodity Transaction Tax at the rate of 0.01%. Even the provision of this tax were made in the budget 2013 but no circular was issued. As per teh current circular the pure farming activities will be exempted from the Commodity transaction tax. Finance Minister spoke in the budget speech that Commodity Transaction Tax of commodity market is equal to Security Transaction Tax of capital market. There are 22 Commodity market in India but only 6 market operate on National Level . The combined transaction of these market was Rs 170,46,840 Crore . There is 80 % share of the non -agricultural commodities in this combined turn over. Guar seed is the farming commodity so it will be exempted from this Commodity Transaction Tax. Director General of Commercial Intelligence and Statistics ( DGCIS) as released the data of exported commodities from India for the year 2012-2013. Guar gum has emerged as largest commodity from India in foreign exchange earning. India has earned foreign Exchange of INR 21,287 Cr only from export of Guar Gum. which is around 25 % more than the last year ( 2011-2012). Last year Indian earned INR 16,523 Cr. This is the second year that Guar has standing on the Number one position. The current share of Guar gum in total agricultural export is around 18 percent, which was just 7 percent in year 2010-11. The share of Basmati rice has decreased from 26 % to 16 % only. There is also another good news for Guar business stake holder, farmers, stockist , manufacturer and exporters that the rate of guar seed and guar is improving slowly and slowly sine 5-6 days due to rise in demand. Guar is moving toward the stability in the rates. Even at low rate there are the tight supply from the market. Rates of Gaur Seed and Guar gum are going down day by day. Even it was started to decrease from a peak of INR 32,000/ 100 Kg in last year, but the current concern is that the rates were stable in between INR 9000-12000/ 100 Kg . After the listing no major increase in the rate was seen. It started to going down and reached up to a level of 6000 / 100 Kg. Since last two day I am looking a very small improvement in the rate of Guar seed and Guar Gum. If we analyse the current condition of Guar seed it is as follows. This time the monsoon is on time with a prediction of good rainfall. There is no any improvement in the forward ( future rates) trading. There is also arrival of the guar seed of summer crop from some other states. Now the question is how long this downfall will continue. Following factors will decide the rate of guar seed in future. Exploration of New Oil and Natural Gas Fields. Increase in the rate of the Crude oil. Stability in the middle east. New area under Guar crop cultivation. Successful crop cycle of Guar crop with out any heavy damage. As guar seed is grown in a particular type of Agro and Climatic belt of India and Pakistan, so there are more chances or risk of failure or success of the crop. Even the Oil and natural Gas industry looking the stability in the rates of Guar Seed. The stability in the rates of guar seeds will help the entire Industry and all the stake holders. This is year there is expectation of increase of guar cultivation area in the normal rainfall condition and stable rates in last 7-8 month except the last one month. The state Govts are also promoting the cultivation of Guar. Guar ( Gum) Cultivation is the one of the hot topic to be discuss among the farmers, traders, exporters. Guar is a rainfed crop, which is being cultivated in Rajasthan ( India) and Neighboring Pakistan. In the Year 2012 the guar commodity and its derivatives seen an unexpected price rise which was ten time more than the regular price. The crop became popular throughout the world. Guar seed and Guar gum was an attraction for rest of the world. 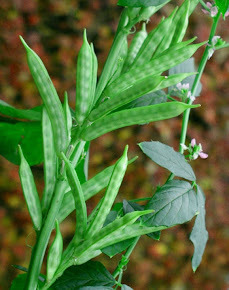 People find a close relationship between Guar and Energy. The Guar gum powder is used as thickener agent or gelling agent in the hydraulic fracturing process to develop the oil field for the natural gas released from the shale formation. The sudden price rise was a imbalance in between the demand and supply. The oil field service provider company deviated from the regular process of guar gum demand and started to give the bulk order to the manufacturer and stocking the guar gum powder as annual stock. Guar gum is a rain fed crop and grown in the defined area, which is easy to manipulate. The forward market worked as fuel in fire the forward contracts were going up and up. The prices in spot market also increased in the same way of forward market. The speculation and stocking activity made it more explosive. When the things were not in control govt immediately put ban on the forward trading of the Guar Gum. 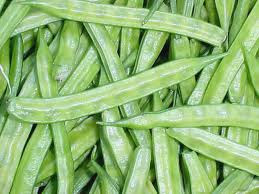 Guar, Guar Gum, Gum Guar became favorite topic to discuss among the farmers. The major focus was on gaur cultivation or Guar gum cultivation or Gum Guar cultivation. There was no any depth research on Guar by the agriculture universities or research institutes. Guar is a normal rainfed crop which is grown in the summer season. It require moisture in environment and well drainage soil for the cultivation. Normally it can be grown in the temperature range of 22-45 degree Centigrade. Mostly the crop are taken in two seasons March to May and June to October. Normally it is grown on rainwater but if there is no rain at time it is advised to give irrigation. Normally it require 3-4 irrigation for the complete crop cycle. Please avoid the problematic water. There are several varieties available in market but all the varieties are selection varieties only. You can choose any variety as per your requirement like vegetable purpose, standing varieties, maturity time, high yielding varieties. some famous varieties are RGC 1002, RGC1066, HG-365, RGC-936, RGC-986. These varieties are developed by the Govt Institutes. Other than the above some privates companies are also selling there seeds Normally farmers use the produce of the last crops as seeds. it require around 16-20 kg seeds per hactacre. Normally the crop mature with in 90-120 days, it depends on different factors like variety, climatic condition, water availability. It doesn't require the Nitrogen as fertilizer, the application of phosphate is considered good for the yield. The crop mature in the month of October November, which can be harvested after drying the crop or let the crop dry after harvesting. Bacterial Blight and Root rot are major disease which can cause loss in the crop. In the Normal condition crop gives production around 15-18 Qt/ Hactare. Guar is also used a fodder crop. The fodder of Gaur is nutritive in nature. The crop is also used as green pod production which is used as green vegetable. The crop also improves the soil condition. The crop is also used as green manure to improve the soil fertility. There is no any severe attack of the Insect Pest on the storage guar. It can be easily stored for two three year with any insect pest management. 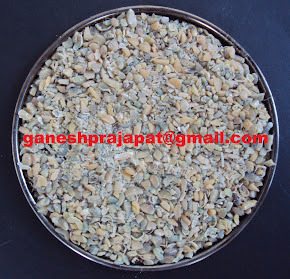 The gaur seeds are used for processing of Gaur Split and Guar gum. The gaur gum is used in various industries in different form. The by product of the gaur gum industries is used as cattle feed. The by product like Guar Korma and Guar Meal are Rich in the Protein and good for the cattle feed.